Pork lovers know that nothing inspires food envy quite like a glorious rack of ribs. To narrow down your search for the perfect pork, we put out our rib radar to find restaurants that offer succulent ribs in every size, style and basting. If you’re a pig lover, here are the best spots to get pork ribs in your area. All the venues marked with a star (*) are personal recommendations from our dedicated Facebook followers. Tuck into a portion of barbecue pork ribs with your choice of two sides, including chips, sweet potato, red cabbage coleslaw, cinnamon butternut and more (R75 for 500g; R130 for 1kg). 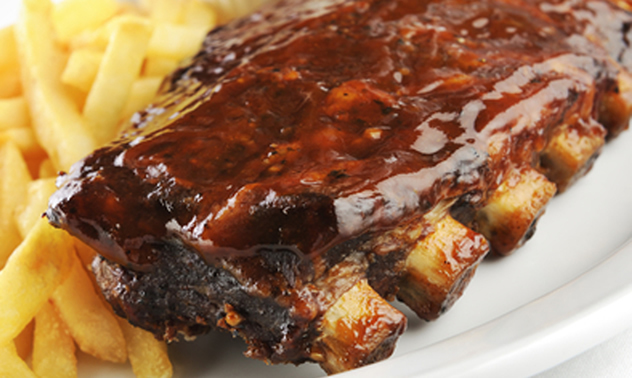 Ribs are served in a honey basting sauce and arrive with a side of veggies, rich, mash, chips or salad (R159 per rack). 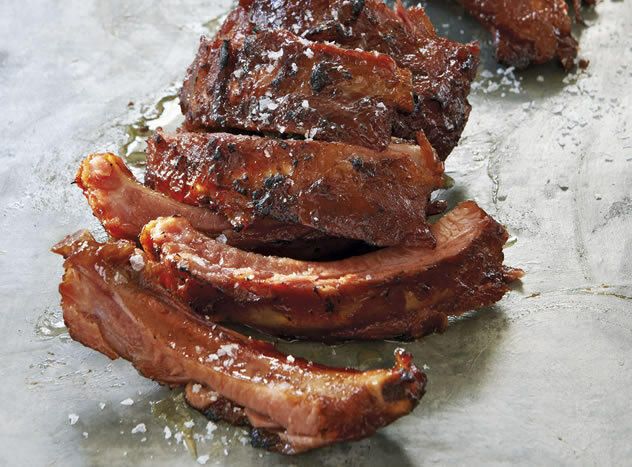 Indulge in a 750g rack of spare ribs with a barbecue or chilli basting and your choice of starch (R165). The Butchershop and Grill. Photo courtesy of the restaurant. Their ‘Catz Whiskers’ pork ribs are basted in a tangy barbecue sauce and served with your choice of starch (R96.50 for 400g; R145.50 for 700g). Enjoy a 500g rack of pork ribs drenched in their famous basting sauce and served with a side of chips, baked potato, salad or rice (R125). Fill up on a 600g portion of pork spare ribs grilled in a tangy homemade basting and served with your choice of chips, rice, baked potato or vegetables (R129). 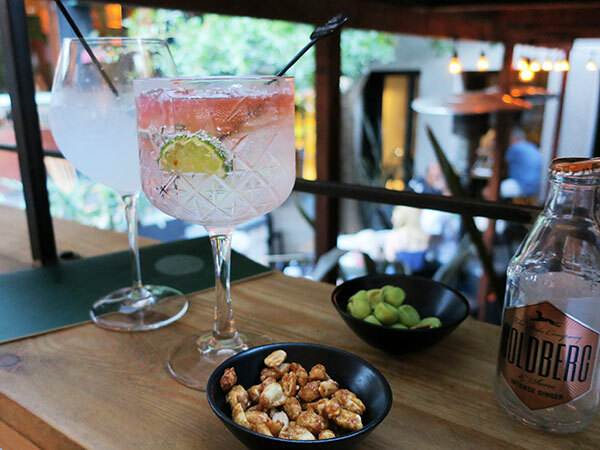 The Grillhouse. Photo courtesy of the restaurant. Their famous pork ribs are grilled to perfection in a sticky barbecue basting sauce and served with a side of chips or vegetables (R125 for 500g; R200 for 1kg). 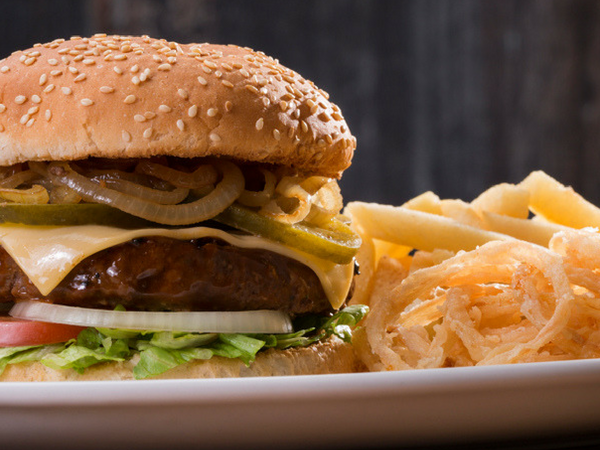 Get your fingers sticky with a serving of saucy barbecue ribs and a portion of crispy fried onions (R89 for 500g; R149 for 1kg). Enjoy a generous 800g rack of barbecue-basted ribs with your choice of chips, onion rings, baked potato, pap and sauce, or vegetables and salad (R146). 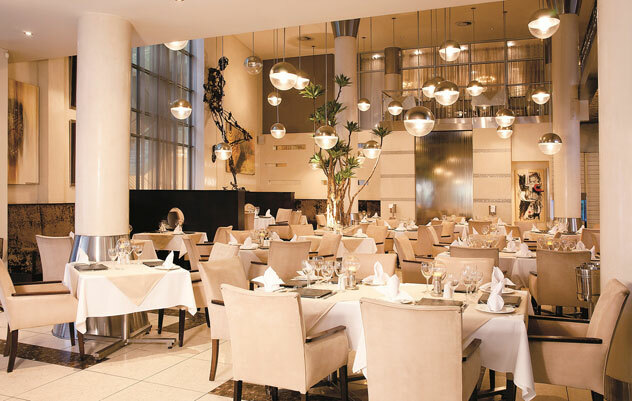 Winner of 2014 Best Steakhouse, The Local Grill serves up a 750g portion of pork ribs basted in a honey and soya glaze with your choice of side (R165). Tuck into a 600g helping of tender pork ribs basted in a homemade barbecue glaze and served with a side of crispy onion rings and your choice of starch (R160). Savour a 500g rack of ribs with a sticky barbecue basting and a side dish (R149). Sides include choices like chips, cheesy cauliflower, mash, garden salad, creamed spinach and more. Choose between baby back ribs (R99 for a half portion; R169 for a full portion) or succulent pork belly ribs (R90 for half portion; R159 for full portion) grilled in a secret-recipe rib basting and served with a choice of chips, salad or creamed spinach and butternut. The half portion ranges between 400g and 500g while the full portion is 800g to 1kg. Their spare ribs are available in an original barbecue basting (R155.95 for 600g; R188.95 for 1kg) or a Portuguese-style basting (R165.95 for 600g; R198.95 for 1kg), and are served with a choice of chips and onion rings, vegetables or mash. This popular steakhouse offers juicy pork ribs in a signature sticky barbecue basting (R105 for 450g; R198 for 900g). They arrive with a choice of chips, rice, baked potato, mash, pap ‘n gravy, vegetables or a side salad. Tuck into flame-grilled pork loin ribs basted in a signature barbecue rib glaze and served with your choice of starch (R139 for 500g; R169 for 800g; R189 for 1kg). Grab a plate of succulent pork belly ribs marinated in a homemade basting sauce and served with a side of chips, rice, baked potato, mash, salad or vegetables (R85 for 500g; R135 for 1kg). Enjoy a generous portion of sticky spare ribs with your choice of chips, mash, baked potato, rice or creamed spinach and butternut (R125 for 600g; R190 for 1.2kg). Order a 500g portion of prime pork ribs basted in a glaze of homemade apple juice, soya, ginger and garlic (R125). The meal comes with a side of grilled bone marrow, chips and a bordelaise sauce. The Harlequin. Photo courtesy of the restaurant. 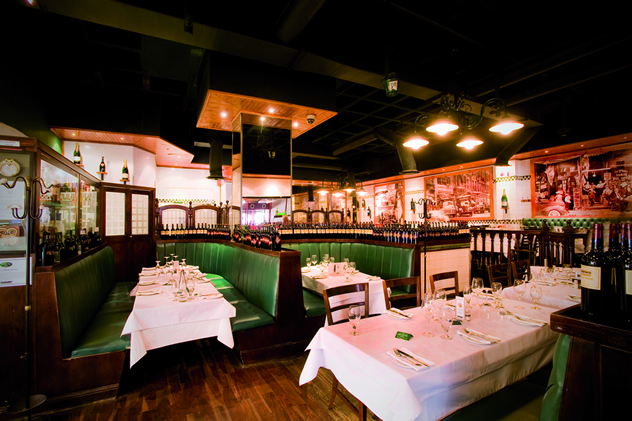 Choose between portions of either traditional or Portuguese-style ribs (R135 for 450g; R165 for 650g). The traditional ribs are marinated in a sweet and sour sauce, while the Portuguese ribs are not basted, but served with a lemon, garlic and peri-peri sauce. 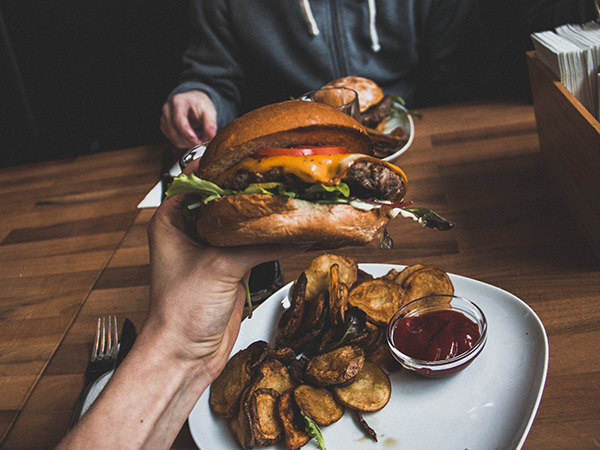 Both come with a choice of side, including chips, rice, vegetables, mash, onion rings or salad. Their pork ribs are slow cooked then placed on the grill with a tangy barbecue basting sauce. Enjoy a 500g portion (R185), a 1kg portion (R250) or treat your kids to a 250g portion (R92). All ribs are served with onion rings, a complimentary salad and your choice of starch. Kream. Photo courtesy of the restaurant. Their ribs arrive in a tangy barbecue basting sauce with a side of chips or seasonal roasted vegetables (R149 for 600g). Enjoy Rustica’s signature barbecue pork ribs with your choice of chips, salad, or mash (R98 for 300g; R139 for 500g; R149 for 750g; R169 for 1kg). Pork spare ribs are available in a 600g (R94) or 1kg (R135) portion. 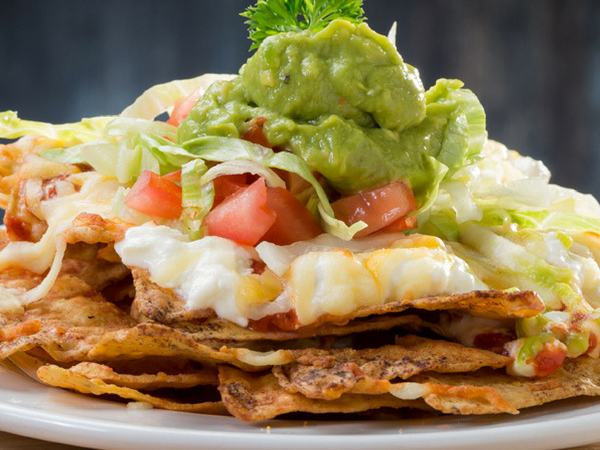 On Mondays, sit-down guests can enjoy a 1kg portion for only R99. Juicy pork ribs are marinated in the house barbecue basting and arrive in a 450g portion with your choice of chips, rice, vegetables, baby potatoes or mash (R132). Enjoy a full or half portion of spare ribs grilled in a sweet basting sauce and served with a side of chips, baked potatoes, creamed spinach or rice (R120 for 500g; R180 for 800g). Tuck into rack of ribs basted in their famous sweet and sticky barbecue glaze, grilled to perfection and served with a choice of one side (R105 for 500g; R185 for 1kg). Try their brand new menu item, a large portion of deboned pork ribs in a homemade sticky and sweet chilli glaze and served with chips or a banting-friendly side (R135). Little Havana. Photo courtesy of the restaurant. Meaty spare ribs arrive in their signature barbecue sauce with your choice of starch or a side salad (R92.50 for 400g; R185 for 800g). Their pork loin ribs have just been taken off the menu, but you can still get your fix with a portion of deboned pork ribs in a homemade sweet and sticky chilli glaze served with a portion of chips (R135). Alternatively, swop your chips for a banting-friendly side. Try Bocca’s bestselling pork belly ribs drenched in a tasty barbecue basting and grilled to perfection. 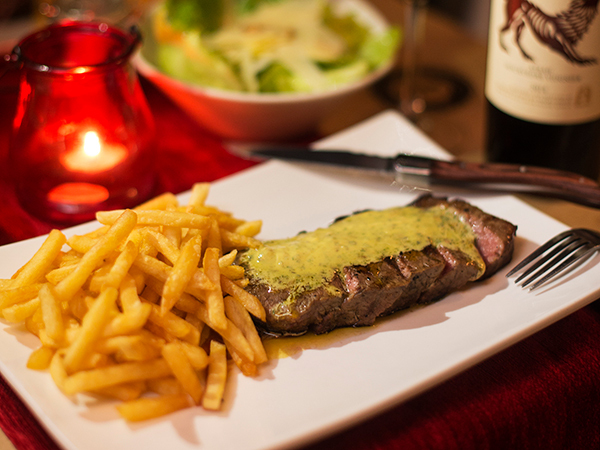 The portions range from 200g to 240g, as they are dependent on the cut of meat (R58). Bocca. Photo courtesy of the restaurant. Succulent pork spare ribs are grilled with a smoky barbecue or chilli basting and served with a choice of starch or vegetables (R165 for 750g). Tuck into a 500g portion of tender pork belly ribs coated in a signature basting sauce and served with a side of onion rings and your choice of chips, rice or baked potato (R115). Catch 22 Beachside Grill & Bar. Photo courtesy of the restaurant. 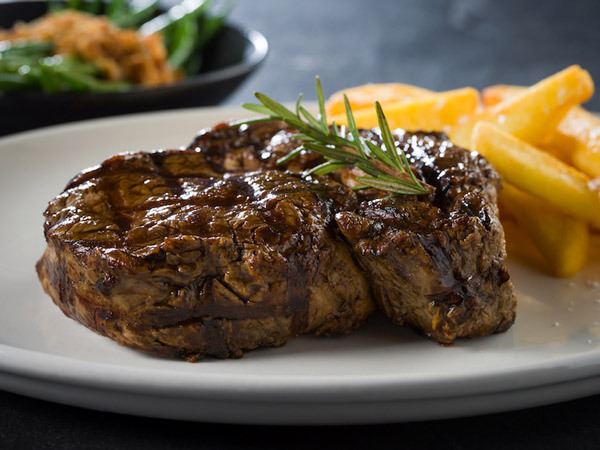 Locals flock to Da Vinci’s for their famous ribs, which are marinated and basted in their special barbecue basting and served with a choice of chips, salad or potato wedges (R109 for 400g; R135 for 600g). This food delivery kitchen offers a wide range of meals, including their popular pork belly ribs. The tender ribs are dusted with a spicy homemade rub and slow roasted, then basted in a homemade southern-style barbecue sauce made with molasses and fresh tomato paste and put under the grill (R125 for 450g-500g; R199 for 1kg). 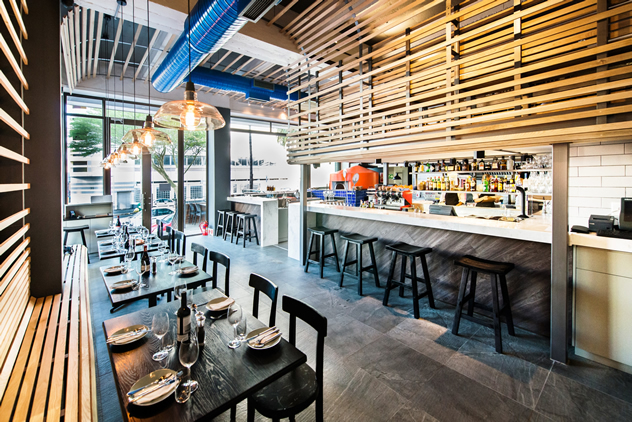 The Eatery falls under the same ownership as Eat out the Box, and serve the same succulent pork belly ribs (R139 for 400g; R189 for 800g). 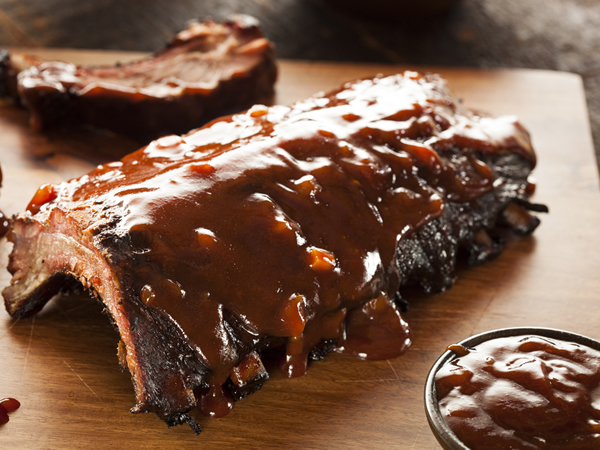 Partake in a 600g portion of their famous smoked barbecue baby back pork ribs marinated in a sweet barbecue sauce (R160). Gibson’s Gourmet Burgers & Ribs. Photo courtesy of the restaurant. 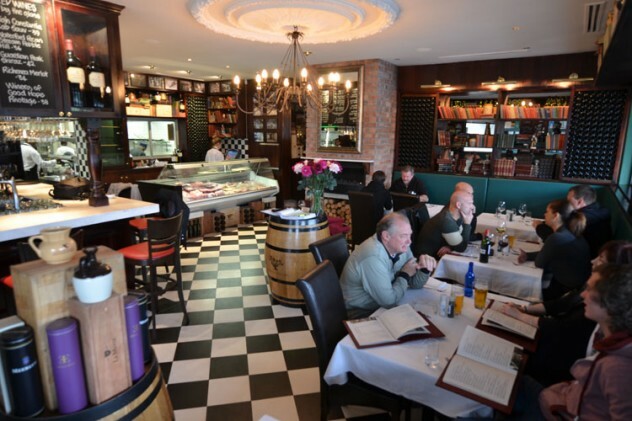 The famous Hussar Grill offers spare ribs (R134 for 400g; R159 for 800g) and pork belly ‘hogs’ ribs (R125 for 300g; R169 for 600g). Both are grilled, then marinated in a meat basting and a sweet sauce and served with a side of chips, rice, mash or baby potatoes. 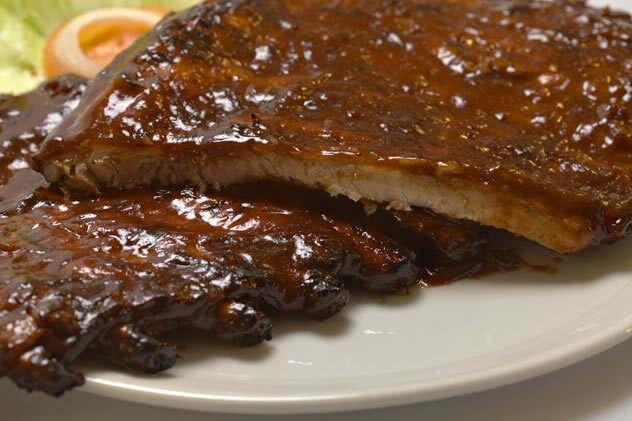 Their signature ribs are home-smoked then cooked in a homemade barbecue sauce. They arrive with a portion of French fries and corn on the cob. (R110 for 400g; R145 for 600g; R215 for 1kg). Hussar Grill. Photo courtesy of the restaurant. This trendy eatery and dive bar is famous for sticky barbecue pork ribs which arrive in a 450g portion with fries and coleslaw (R95). Order a 800g portion of juicy pork ribs basted in a honey and soya glaze and served with a complementary side of starch, salad or vegetables (R169). Lefty’s. Photo courtesy of the restaurant. The sticky spare ribs are marinated in your choice of house barbecue, smoky barbecue, or peri-peri basting and served with hot vegetables, creamed spinach and butternut and your choice of chips, mash, rice or baked potato (R165 for 800g; R135 for 500g). Enjoy a 600g rack of ribs basted in a tangy barbecue sauce and served with a choice of chips, salad, rice or vegetables (R140). Tuck into tender pork belly ribs with a tangy barbecue basting and a choice of chips, rice, baked potato, garlic baby potatoes or a side salad (R120 for 400g; R170 for 700g). 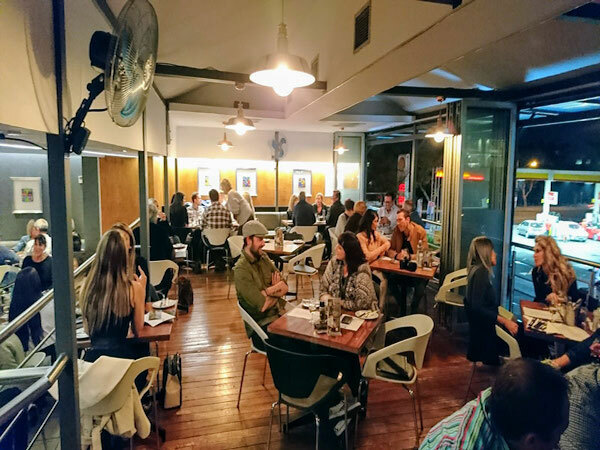 This famous joint satisfies Cape Town’s hungry night owls with their sweet and sticky barbecue ribs served with fries and crispy onion rings (R75 for 300g; R129 for 600g; R190 for 900g). Their pork loin ribs are “mzanzi famous” and arrive basted and grilled to perfection with chips, rice or salad (R95 for 300g; R135 for 500g; R250 for 1kg). Tuck into glorious slow-roasted pork belly ribs with your choice of mash, fries, rice, salad or grilled vegetables (R90 for 250g; R130 for 500g). On Tuesday from 5pm onwards, you only pay R75 for 250g ribs, R110 for 500g ribs, and R130 for 500g ribs with your choice of prawns, calamari or chicken wings. Devour a portion of pork ribs grilled in Dros’s signature secret basting sauce and served with fried onion rings and your choice of rice, chips or baked potato (R99.95 for 400g; R129.95 for 600g; R179.95 for 1kg). Juicy pork spare ribs are coated in a secret barbecue basting and served with a choice of traditional fries, rice, mash, or baby potatoes (R134 for 400g; R159 for 800g). On Monday, you can enjoy a full 1kg rack of ribs with chips and onion rings for R99. During the rest of the week, dig into 500g portion for R80 or 1kg for R120. Tuck into a 500g portion of barbecue-basted pork spare ribs with a serving a crispy chips (R120). Have we missed your favourite? Share your hot tips for ribs in the comments section below. Hi, when I saw the title to this article in my newsletter, I quickly clicked the link in anticipation of seeing the name of what i consider to be the best ribs in Joburg. Well, well, well… was I ever disappointed. This list is missing the best ribs of all – Turn ‘n Tender! If you haven’t been to try their ribs, then I suggest you do so. Today. Now. Really. Hi Denise. You’re quite right. We’ve added Turn ‘n Tender to our list. 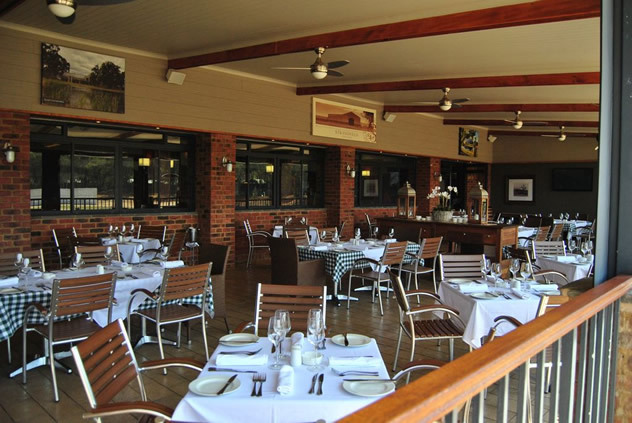 Rustica Restaurant in Moreleta, Pretoria totally deserves to be on this list. Hi Antoinette. We’ve added Thunder Gun to our list. Thanks for the tip. 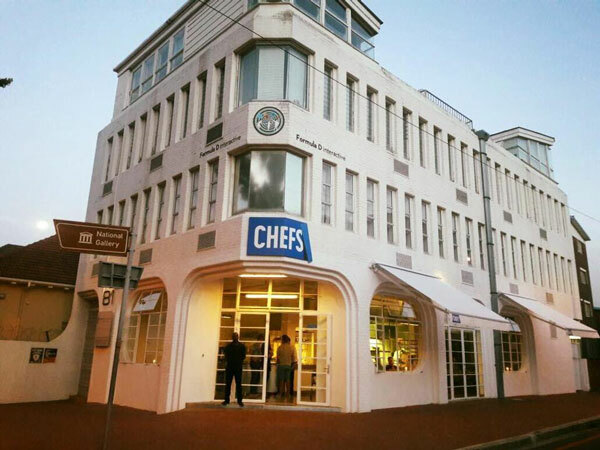 If you’ve only ever eaten at the Spur, maybe it’s an improvement. 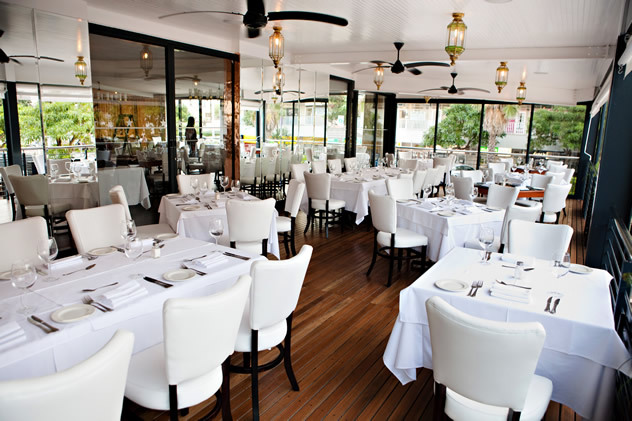 The most overrated steakhouse in Jhb. Ben’s on the Beach, Strand. 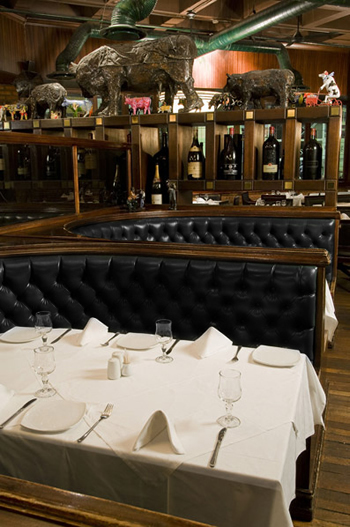 One of the best value for money Grillhouses in the country-. they still dry age their beef. The ribs are superb! I’m not the biggest rib eater out there, but in the last month, I had it twice! The place that had me going back for more, is The Diner in Krugersdorp. Every Monday it is Manic Monday, where you can eat a 1kg rack of ribs for R99!!! This is amazing ribs, an amazing place and really a place worth visiting!! 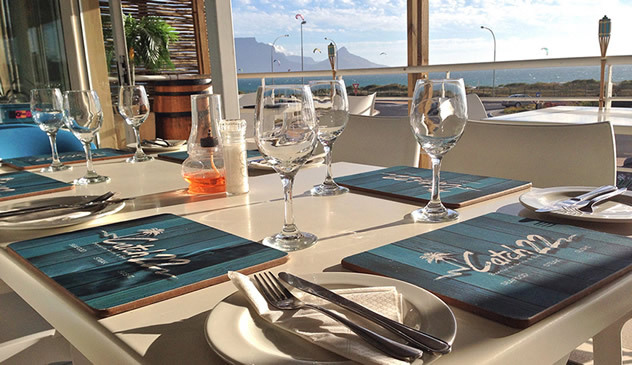 Spiro’s in Hout Bay has a rib special every Wednesday. 1kg for R90! 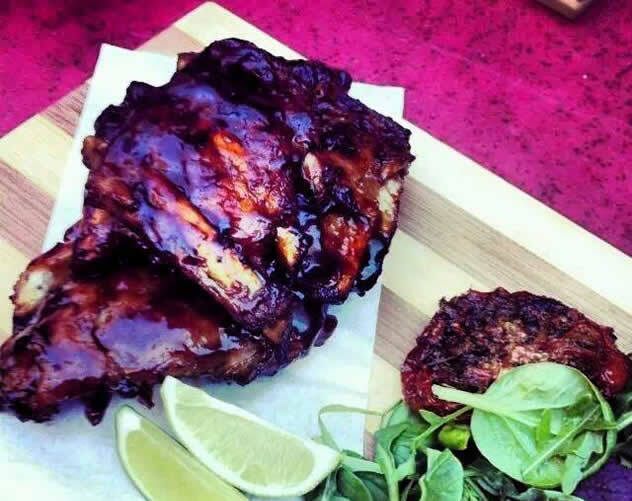 Head down to the Route 44 Market near Stellenbosch and try the ribs at Smoken Deli. Once you’ve tasted it you would want nothing else ! The forgotten underdog missing is the institution that is Catz Pyjamas. Still the most juiciest, softest, lip smacking ribs in town. You missed the best spot in Pretoria, Capital Craft Beer Academy. 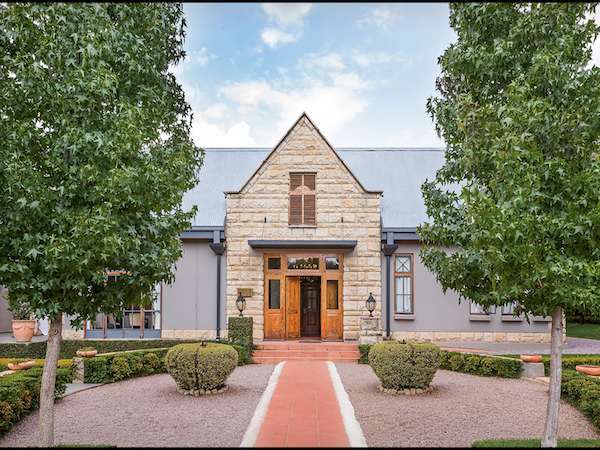 Good list… But honestly, you missed the BEST one in PREToria: Capital Craft! Seriously though, their ribs are great. Thanks for a yummy post! Totally agree with your Joburg list except for Alpine. I’ve heard it was brilliant, so a bunch of us went last week. About 5 out of 20 ordered the ribs and none of us enjoyed them. They were fatty and tasted like they been boiled then basted with tomato sauce. Very disappointed. Deli-licious in Durbanville have awesome, succulent pork ribs, at unbelievable prices. 500g for R55, or 1kg for R100. Comes with chips. Can never find any worthwhile recommendations for the Northern Suburbs in Cape Town. Is there any good ribs out there that is not 30/40min drive?